To be more profitable, custom builders must focus on efficiency and cost savings, while looking for opportunities to publicize their work and expertise. 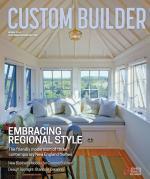 Custom builders are fighting harder than ever for profits, and they sometimes overlook obvious solutions. Trying something different could help get the wheels back on the track. “When you step outside of the box of what you’re doing every day, it gives you a new perspective,” says Brian Goldberg, partner at LG Construction + Development in Chicago. LG’s construction mix is about 80 percent residential — primarily high-end custom homes in affluent Chicago neighborhoods. The other 20 percent is commercial construction. The Martha’s Vineyard custom builder expanded the availability of its energy evaluation and retrofit services, which Abrams says aren’t money-making but generate other work. 1. Publicize that unique project you just finished. 2. Set your company apart by promoting your specific area of expertise. 3. Network with people who can provide solid leads for future projects. 4. Value-engineer your designs as early as possible in the process. 5. Schedule your trade contractors so that there’s always someone in the house working. 6. Diversify — start an estate-management service or branch out into commercial construction. 7. Outsource functions such as human resources and IT. 8. Start a small-projects division. When you finish a new home, give the clients a written proposal for ongoing maintenance, repair, and remodeling. 9. Don’t just support charitable organizations, be an active participant in their activities. 10. Evaluate every aspect of your business for ways to operate more efficiently. 11. Always get competitive bids on products and materials for every job. 12. Plan ahead, stick to the schedule, and make sure everyone on the project team does the same, including the client. 13. Consider paying the architect or designer an additional fee to act as a project coordinator who will assist you and the client with scheduling and selections. 14. Stay focused on what’s ahead so you can fill in any gaps in construction documents and spot potential problems. South Mountain’s experience in solar PV installation has also proven to be very profitable. At any given time, the company has 20 to 30 projects in the pipeline that entail adding solar arrays to existing homes, parking lots, landfills, and commercial buildings. The solar systems, in most cases, pay for themselves within five to eight years. LG Construction + Development seeks competitive bids from suppliers for every project. If you always use the same vendors, says Goldberg, you may become a victim of “price creep.” He cites the example of an architect that used the same window supplier for years, not realizing the supplier’s prices were 10-15 percent higher than the competition’s. One day a client went to the showroom, negotiated a better deal, and called the architect on it. In Goldberg’s opinion, builders complain too much about time wasted on the job site waiting for the architect to revise a drawing or the client to make a selection. That can be avoided by planning ahead, setting a schedule, and making sure everyone on the project team sticks to it — including the client. Allow extra time for variables such as late deliveries and incorrect orders, and explain to clients why it’s critical to make decisions by a certain date. Be proactive with design issues. “If an architect gives me something that doesn’t work, I take a picture, print it out, sketch a few options, and send it to the architect in less than 10 minutes, and I usually get a quick answer via text or email,” he says. In addition to custom building and remodeling, Allen Associates, Santa Barbara, Calif., has small-projects and building-performance divisions. “All the divisions feed leads to each other,” says Bryan Henson, general manager. Allen Associates is also actively involved with organizations that reflect the interests of its employees, such as Habitat for Humanity. Henson was invited to speak about green building at their board meeting last year. Later, Allen submitted a proposal to consult on a 12-unit Habitat project. “We wouldn’t have had that opportunity had we not been engaged with them for years,” he notes. Allen runs a tighter ship now than before the downturn. For instance, human resources are outsourced (an HR specialist comes in every quarter to tune up those processes). Similarly, the company’s IT needs are handled by an outside consultant. And by decreasing the amount of trips carpenters make to the hardware store by 25 percent, Allen saved $50,000 a year. “We’ve had an increase in our gross and net profits for the last couple of years by taking these measures,” says Henson. Comments on: "14 ways to maximize profits"